Cebek I-4 is a light detector module, with built in light dependant resistor as a detector. 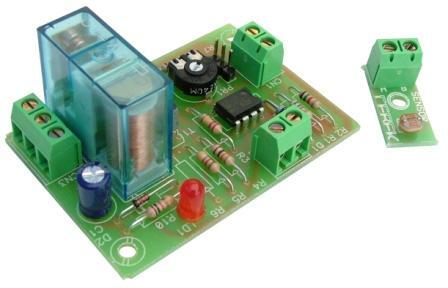 The relay will operate (Make on Rise) when the level of light exceeds the level set by the PCB mounted potentiometer. It includes LED to indicate relay operation, connector to allow the fitting of an external potentiometer.